At Swope, Rodante P.A., our Tampa auto accident attorneys have over 30 years experience in handling claims for people catastrophically injured in Florida car accidents, which are among the most common personal injury claims. You may be able to walk away from a crash with only a bump on the head. But a devastating wreck may also cause physical, social, mental, and emotional trauma that changes your life in a matter of seconds. If you need a Tampa auto accident attorney, we are available to help protect your rights. Automobile accident injuries to the brain, neck and spinal cord may be the most catastrophic and life threatening. If you or a loved one suffers a catastrophic injury due to another driver’s recklessness it may seem overwhelming, but our Tampa auto accident attorneys may be able to help you by fighting to get the compensation you deserve to alleviate the financial stress that may come from medical bills and lost time at work. Our Tampa auto accident attorneys won its first million dollar suit in 1984. Throughout the years, we have won many verdicts over a million dollars, and we’ve won much larger multi-million dollar settlements on a frequent basis. Insurance companies often have in-house lawyers, but our team specializes in fighting for the underdog. There was a time, perhaps 25 years ago, when handling a catastrophic injury case was not that different from handling a routine one. That day is gone. Legislative modifications to common law have made these cases more complex to handle, but our team can help you navigate through challenging legal proceedings. Automobile accidents are among the most common causes of traumatic brain and spinal cord injuries. Research shows that seatbelts decrease your chances of being seriously injured or killed in an accident, but many people still don’t use them. Distracted driving, eating, drinking or talking on your cell phone, increases your chances of getting into a wreck. Even if you do everything right, you may still get into a wreck due to another driver’s negligence. Traffic crashes occur every day. In fact, according to the Florida Department of Highway Safety and Motor Vehicles, an average of 625 crashes occurred per day within the past year. Overall, 227,998 crashes occurred in 2011. That same year, 8,621 motorcycle crashes occurred, which had an even higher rate of injuries. 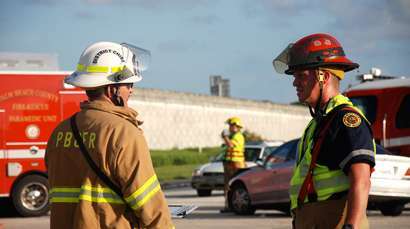 So What Should You Do If You Are in A Tampa Auto Accident? It’s important to file a police report and obtain information from the other driver including their name, address, insurance information, license plate number and driver’s license number. Though you may be in shock, it’s critical to seek medical attention as soon as possible to increase the likelihood of the best prognosis and to document any injuries sustained in the wreck. Some injuries, such as closed-head trauma, may take hours or even days to appear. Also, remember to preserve evidence including pictures from the scene of the accident. If you suffered a bodily injury due to another driver’s negligence, including a hit-and-run accident, our legal team can help protect your rights and ensure financial compensation. You may be able to collect compensation from the negligent parties for any injuries that you sustained during the car accident. To ask our Tampa auto accident attorneys a question or find out more about the worth of your case, contact us.